Solemnity of the Most Holy Body and Blood of Christ: June 02, 2013. 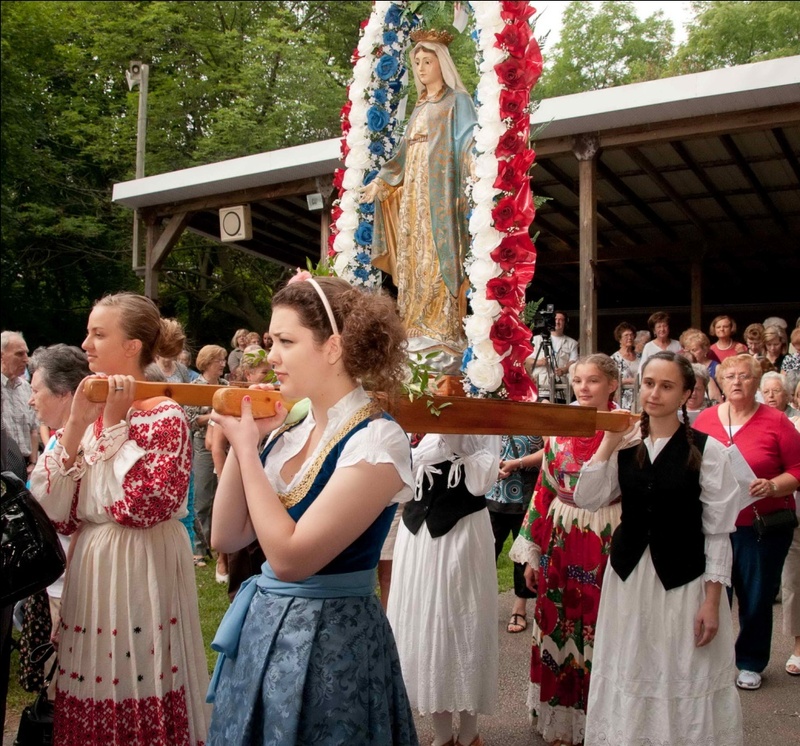 Solemnity of the Assumption of the Blessed Virgin Mary: August 18, 2013. Feast of the Nativity of the Blessed Virgin Mary: September 08, 2013. 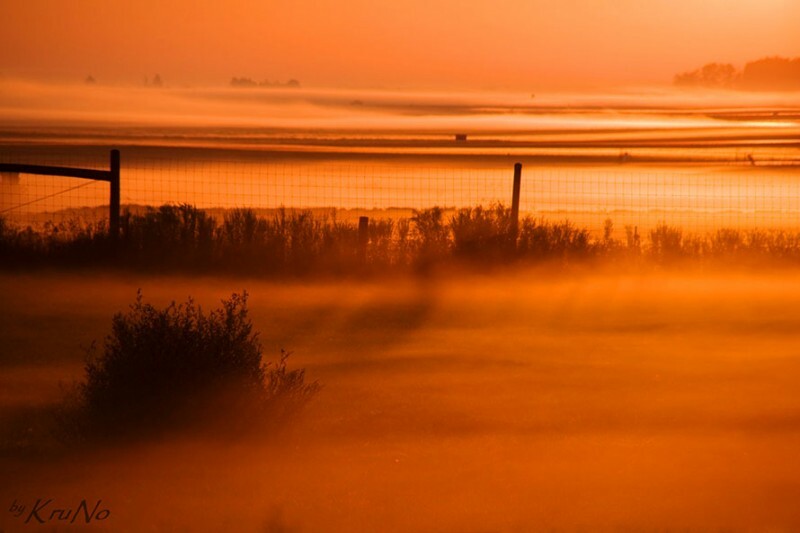 As summer quickly fades to fall and we are blessed with the glorious colours of nature we appreciate the comfort of sun kissed days that give way to cool and refreshing nights. While we enjoy the last few days of relaxation at Father Kamber Park, we must also turn our attention to planning for the future. 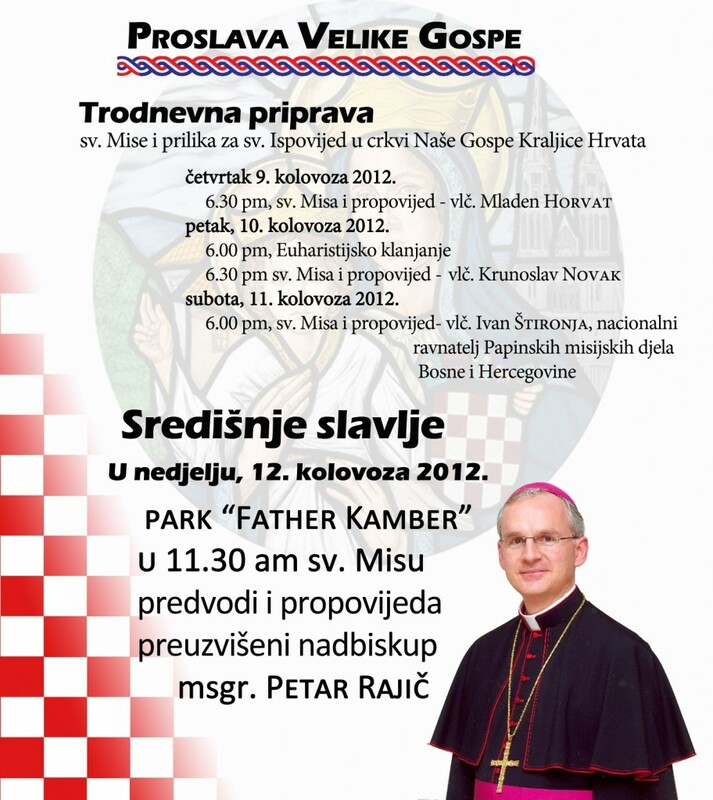 Equally, as we ease into the busy fall season and all that the next few months hold for us, I’d like to take this opportunity to reflect on the splendor that was the summer of 2012 and provide you with a financial update on the events hosted by Our Lady Queen of Croatia Parish at Father Kamber Park. 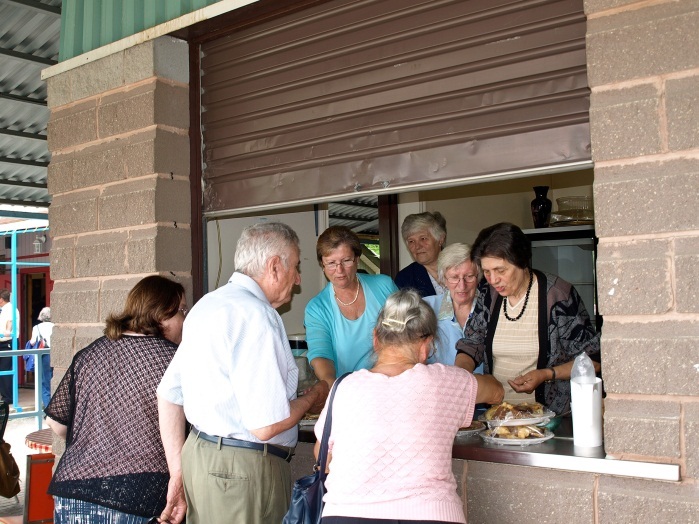 First, I’d like to take this opportunity to recognize and thank all of our dedicated volunteers who committed their time, effort and skills to ensuring that our Parish’s three key annual picnic events were a resounding success. To all our teams who ensured that all aspects of our events from entrance ticketing, meat preparations and sales and clergy meals to Liturgical preparations, music and singing, donation collections, florals and overall event organization came together smoothly, I am deeply appreciative of your efforts. We could not and cannot bring together these important community gatherings without your support. 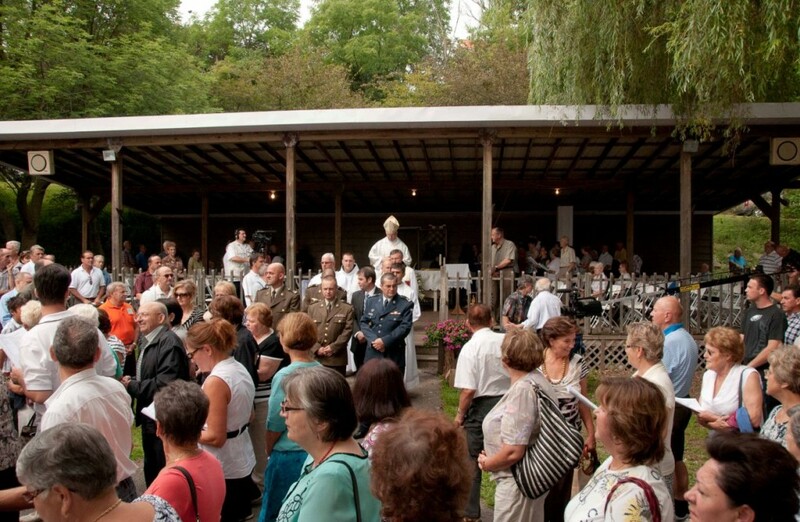 Thanks to all our parishioners and the Croatian community overall, we saw record attendance numbers at our Parish events. Your participation enabled us to raise significant funds toward the upkeep of the Park. 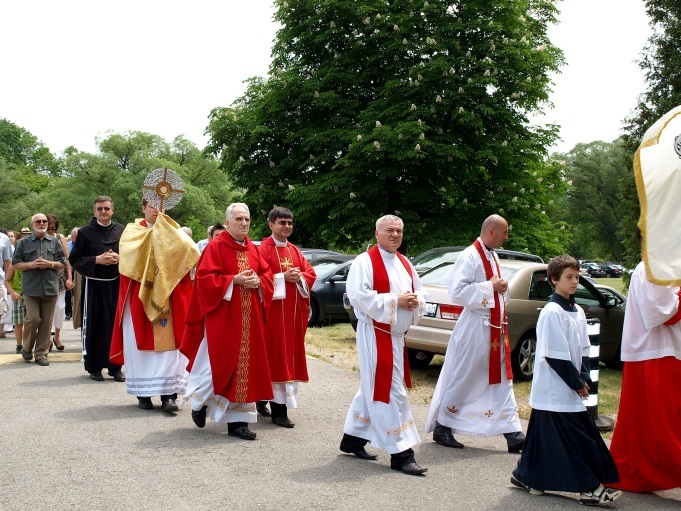 In particular, the $27,646.41 raised and deposited to the Croatian Parish Recreational Park, “Father Kamber” Trust account will be directed toward reducing the outstanding debts on the swimming pool construction. On a personal note, I’d like to express my thanks to Mr. Edward Nezic, who, as a member of the Park Committee, has dedicated countless hours to ensuring the open, accurate and transparent management of the Park’s financial records over the course of the last year. 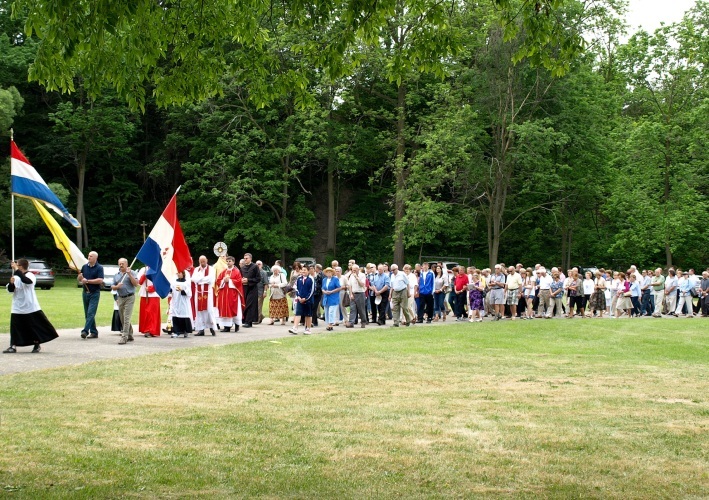 Additional thanks to Mr. Zeljko Filipovic, also a representative of Our Lady Queen of Croatia Parish on the Park Committee, for his ongoing leadership and oversight of Park activities. 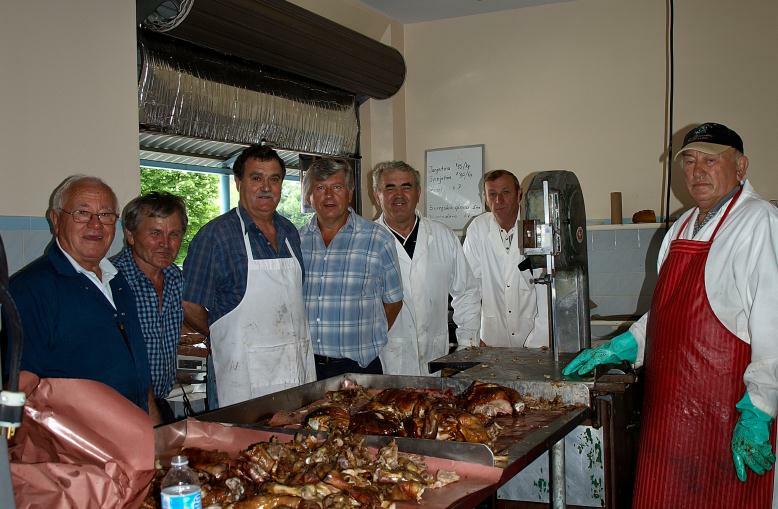 Rounding out our key Park activities leadership team are two members of our Pastoral Council, Mr. Slavko Augustin and Mr. Ivan Matesic who oversaw overall organization of picnics and maintained the Park grounds. 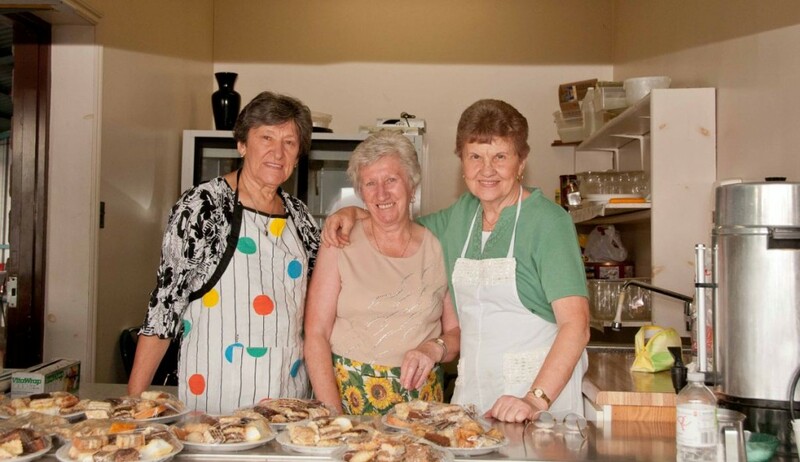 May God bless your collective commitment with long and healthy lives enriched with the company of family and friends. Finally, to the youth of our Parish, I call upon you to learn from the examples of our some 200 devoted volunteers. 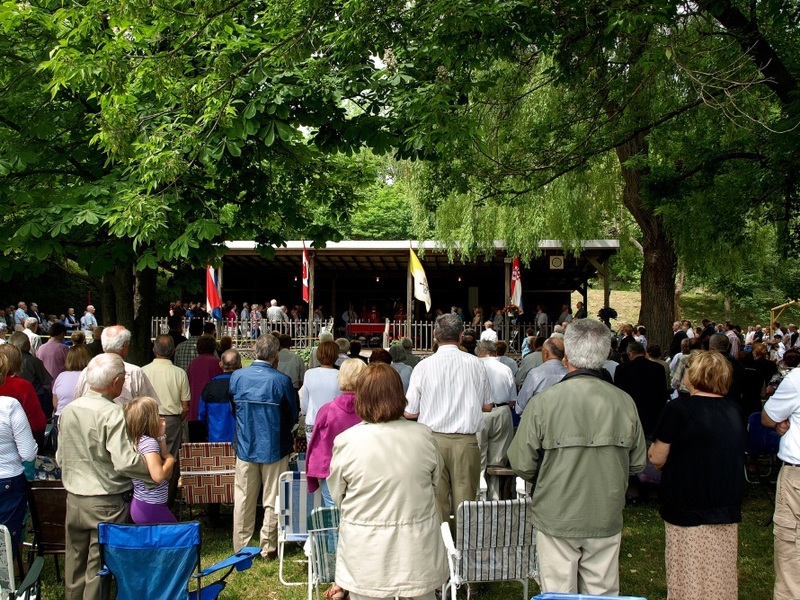 The future strength of our Parish is a gift that you will inherit. 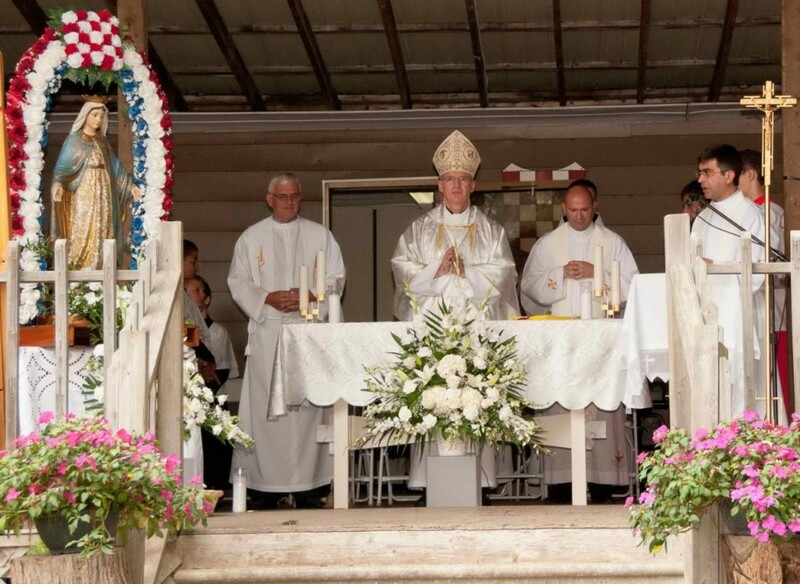 I encourage and call upon all of you to become even more engaged in all aspects of our Parish community life. You will learn from the breadth of experience around you and we, as a spiritual and cultural community, will be enriched by your involvement.